Starting with the Epic Games Store. Quantic Dreams has announced three of its PlayStation exclusives are making their way to PC. 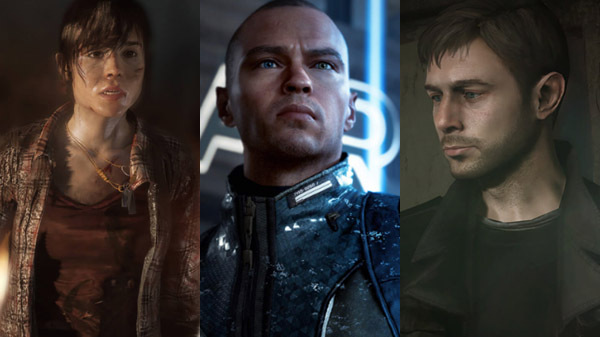 Heavy Rain, Beyond: Two Souls, and Detroit: Become Human will release later this year on the Epic Games Store as part of a one-year exclusivity deal. "We are extremely excited for the Epic Games Store to host such a well-known and established video game studio like Quantic Dream," said Epic Games' Steve Allison. "Their games have truly pioneered the genre of interactive storytelling, and with their expansion onto other platforms we are truly honored they chose to take that first step with Epic Games." While the French developer was never a first-party studio for Sony, it has spent the last decade working solely on the PlayStation platform. A recent investment from NetEase has prompted Quantic Dreams to broaden its scope to additional platforms with the aim of becoming a "global, multi-franchise company"
"We are so grateful for twelve fantastic years of collaboration with Sony Interactive Entertainment and all they have allowed us to create and produce," said Quantic Dreams co-CEO Guillaume de Fondaumiere. "With this new partnership with Epic, we can now expand our products to a wider fan base and allow PC players to enjoy our titles." Pricing and more specific release dates are yet to be detailed.